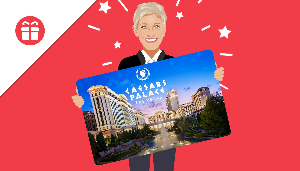 Prize: 2-Night Stay at Caesars Palace Las Vegas. no airfare. What you must do to enter: complete form --- Giveaway ends on April 16, 2019 at 9:00am EDT. Statistics: This contest was opened by 129 and entered by 7 ContestChest.com members. 5% of those who opened the contest, entered it.